In today’s fast fashion industry, newness is one of the key contributing factors to success. The landscape’s increasingly fast pace reflects the demand of the consumers - always hungry for the latest products in the market. Having a responsive supply chain by regularly refreshing assortments maintains your relevancy in the market. This September signaled the reduction in newness intake for Fall 2018, compared to prior months in July and August. The total New-In products of top 10 brands was captured at 32,598 items. Zara led the pack with 7,208 items, 1.5x more than H&M at 2nd place (refer Chart 1). Zalora (Southeast Asia), Pomelo Fashion (Thailand), and Pazzo (Taiwan) joined the rank with a combined contribution of 22% to total newness. Ranking by New-In % to the respective brand’s total assortment reflected productivity and altered the positions of brands in the initial ranking (refer Chart 2). Zara remained at the top, while H&M was overtaken by Pazzo with 22% of its total assortment being new. Mango, Pomelo Fashion and Missguided moved up the rank quite significantly in the new computation, showing strong newness intake. Meanwhile, sharing similar fate as H&M – NEXT, Boohoo and Zalora also fell to the bottom half rank. To further evaluate the impact of New-In on trade performance, we compared the contribution of the total 10 brands’ New-In against Sell-Out contribution (refer Chart 3). 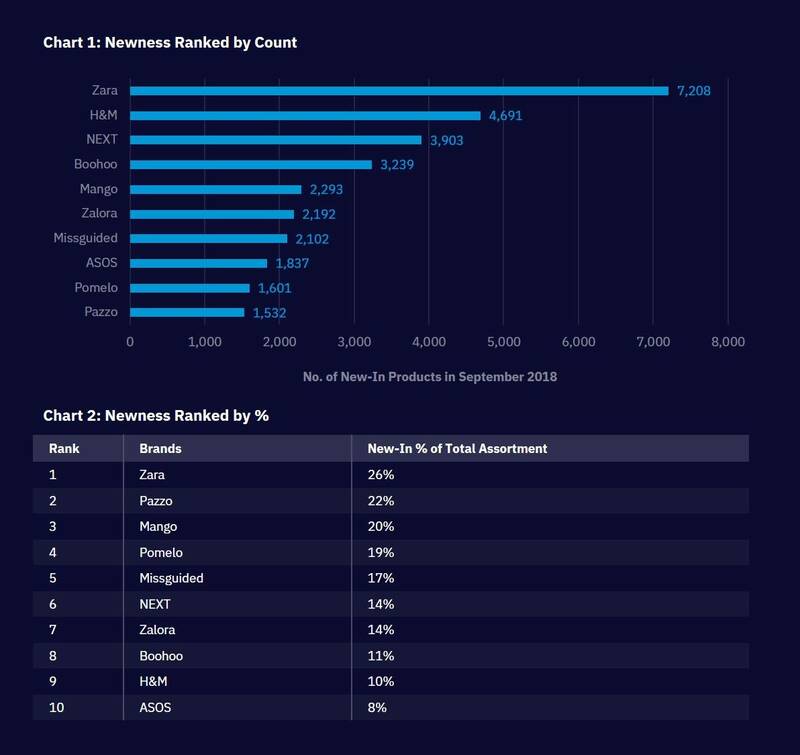 Pazzo, the 2nd top brand with the most newness, performed well with 5% New-In contribution that matched Sell-Out contribution. A similar pattern was observed for Pomelo Fashion. Brands that observed a huge gap between New-In vs. Sell-Out were Zara, Zalora, Boohoo and H&M, despite having launched high number of New-In products for the month. Zara and Zalora’s New-In contribution greatly outperformed Sell-Out by +15% and +6% respectively. Boohoo and H&M on the other extreme, launched limited newness with -9% and -12% variance against Sell-Out, which signified missed opportunities. 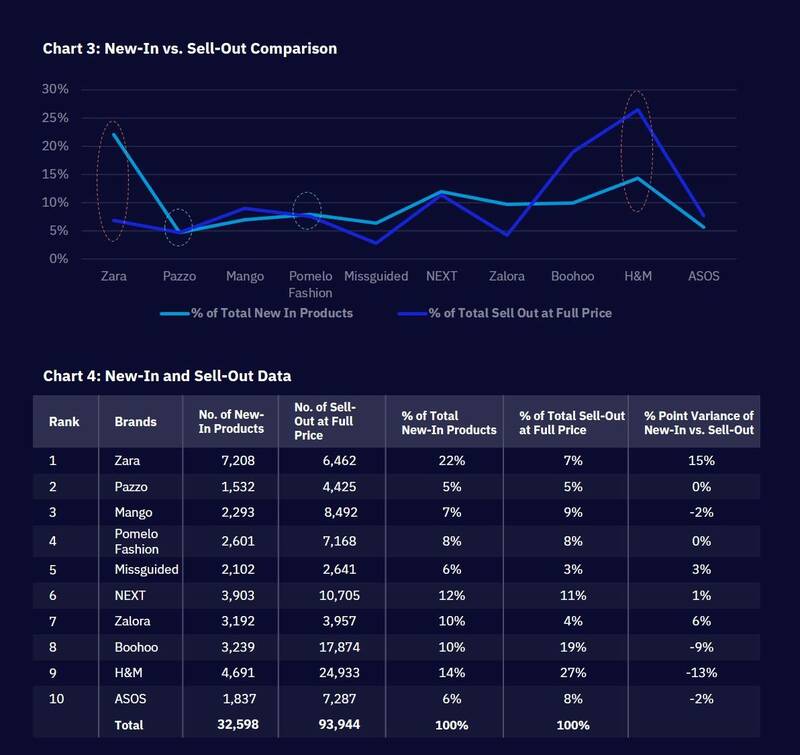 Note: Chart 4 displayed the tabulation of data used for comparison – % of Total New-In Products vs. % Total Sell-Out at Full Price. 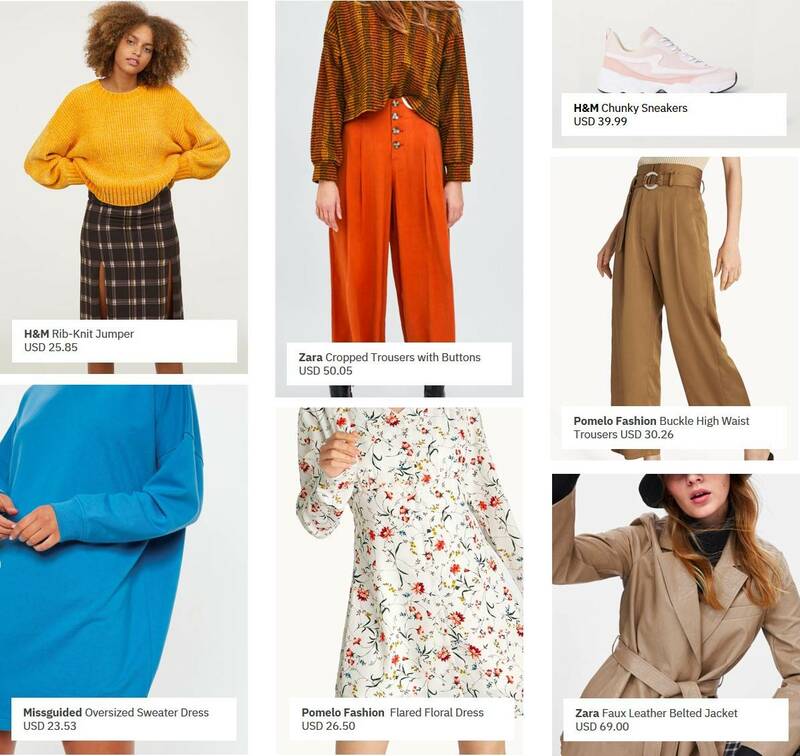 New-In products launched this month observed a lift in Dresses compared to previous months in July and August, where the focus had been on Outerwear. Fall 2018 colours dominated with earthy tones, punctuated by solid yellow, orange and blue. Accents of luxury were evident with sequin, velvet and faux leather materials. Notable styling were ruffles, cami straps, and high-waisted bottoms. One of the least seen options was animal prints, compared to the more commercial floral prints. Width vs. Productivity: Brands with the most newness did not appear to be driving the equivalent of Sell-Out, as evident in the case of Zara and Zalora. Zara has been slow to e-commerce adoption, as online expansion to Asia began just last year. Faced with a similar e-commerce predicament was H&M, who just launched its online presence in India and China in the first quarter of 2018 (China via Alibaba’s Tmall), playing catch-up with its major rivals. The fast fashion behemoth was also in another news headline early this year for having high unsold inventory worth US$4.3 billion, based on its first quarter financial report. Newness launched by the brand this month was modest in rank, albeit behind Sell Out by 12%. Unlike H&M’s low New-In as a result of an existing over-stocked situation, Boohoo may have under-forecasted New-In with its massive sales growth of 50% reported for the first half of 2018 by The Guardian, which could lead to underwhelming sales (its Sell-Out exceeded New-In by 9% in this report). Emerging Brands: Little known brand Pazzo from Taiwan made a surprise entry into the top 10 rank, with high newness and good productivity. The chic and affordable brand appeals mostly to the locals (Taiwan is among the world leaders with high e-commerce penetration). Thailand-based Pomelo Fashion aggressively gained market share in Southeast Asia with its fourth newly opened physical store in Bangkok, while maintaining a healthy online performance. Adopt Proactivity: Crucial to trade productivity is routine measuring and monitoring of the relevant metrics. Aside from the usual sales against inventory analysis, the alternative measure of Sell-Out against New-In demonstrated in this report presents an additional perspective to indicate early signs of overstocked issues or missed opportunities. Brands should be proactive to forecast and re-forecast the quantum of newness and adjust the phasing of launches with each analysis to stay ahead of the game. 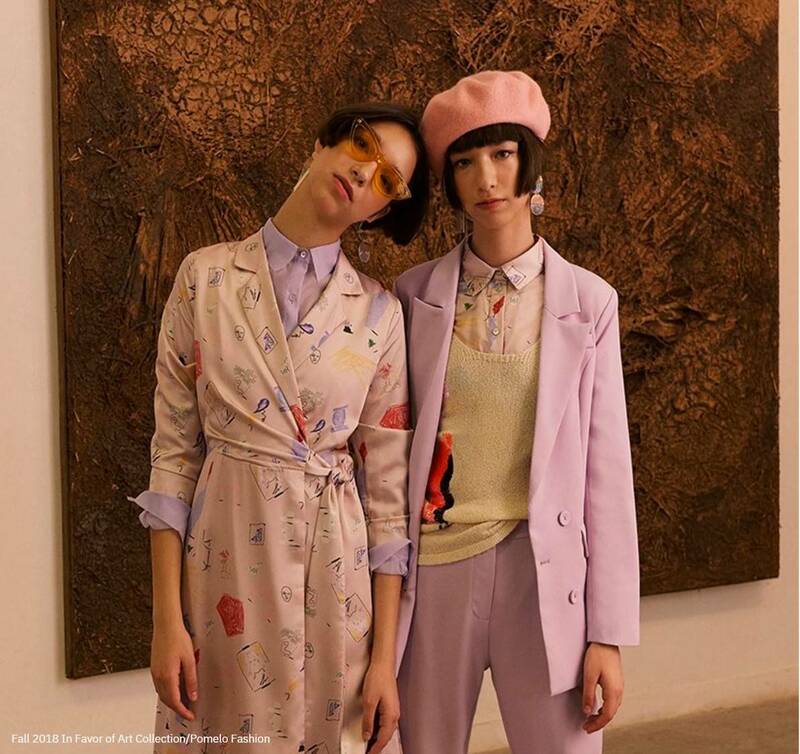 Go Glocal: The success of Pazzo and Pomelo Fashion can be attributed to their deeper understanding of consumers within the region. While the international brands competed to offer global key trends of Fall 2018, the Asian brands retained some local elements, such as Pazzo’s above-the-knee dresses with light blouses and Pomelo Fashion’s buckled bottoms. In fact, on top of the local trends, Pomelo Fashion also launched a new collection in pastel palette this month – a seamless effort that appealed to the target market. Omnilytics is a market intelligence company that offers data analytics and insights to help brands and retailers across multiple industries make informed decisions with speed, accuracy and precision. With insights from over 100 million product SKUs across more than 15,000 brands and retailers, Omnilytics allows brands and retailers to analyse their market & competitor's offerings by Assortment, Price, Discount, Category, Colour, Size, Options and Strategy so profitable opportunities are never missed. The power of data is even more prominent now than before and businesses can no longer ignore the need for an organised system that truly works.